You know those ridiculous camping tents with multiple rooms? 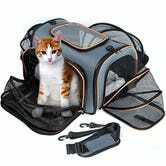 This is basically the same idea for your pet, who deserves the extra space, unlike you. 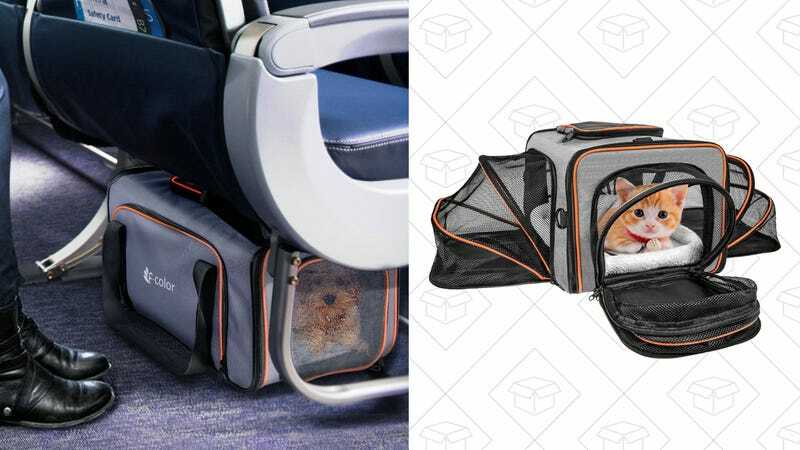 When completely folded up, it’s approved to fit under airline seats and hold pets up to 18 pounds. But when you’re using it at home or in the back of your car, you can unzip any of the four sides to give your furry friend more room to stretch out.